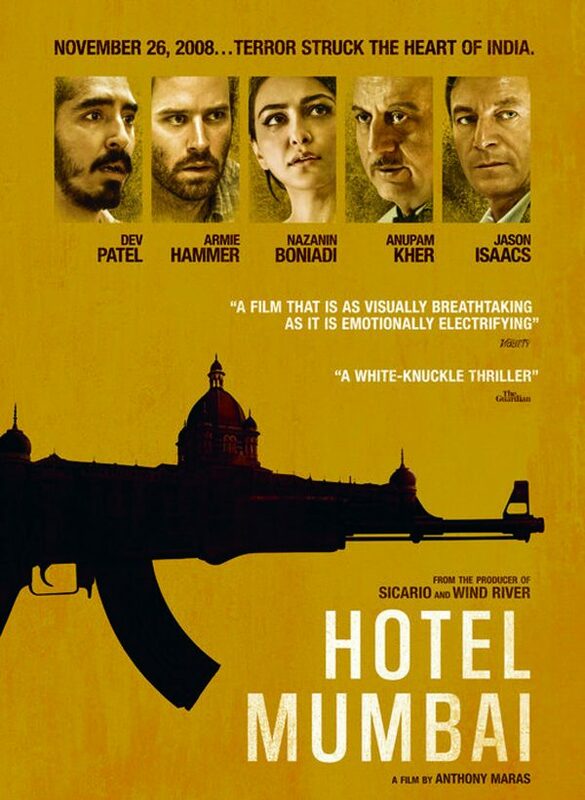 What “Hotel Mumbai” does best is re-create – to an at times unrelenting extent – what the terror and confusion of being in this kind of situation must be like. Arjun’s boss, the no-nonsense chef Hemant Oberoi, is based on a real person and played with zest by the veteran Indian actor Anupam Kher. We also see the enormous pains the Taj takes to ready its rooms for those staying there, not only drawing a bath, but making sure the temperature is just right. “Here at the Taj, the guest is god,” Oberoi says, and there is no point arguing. This particular room is being readied for Zahra (Boniadi), a wealthy woman with local ties, her American husband David (Hammer), their infant daughter and accompanying au pair (Tilda Cobham-Hervey). Also wealthy, but of a very different sort, is hard-partying Russian oligarch Vasili (Isaacs), intent on nothing more than the festivities on tap for his rooms. Once the quartet of terrorists get into the Taj and begin blazing away with their AK-47s, however, everyone’s plans get put on hold. The staff, which knows secret ways out of the hotel, could have melted away, but the point is made that, echoing what happened in real life, many elected to stay to help the guests. “Who are these people, what do they want of us?” a guest asks at one point. No matter how much we eventually find out, that remains a question without a comfortable answer. — Kenneth Turan in LA Times.